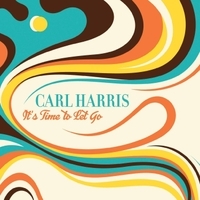 Carl Harris currently lives is the Washington D.C area, is a native of Newport News, Virginia. He spent 22 years as an Army officer. While music remained his first love, the demands of his career military career limited his performances to playing piano for gospel groups. This limitation however set the stage for the next phase of his music involvement and created a pathway to writing and performing gospel music. Following his retirement, from the Army, Carl earned an appointment as a minister of music for his church. While serving in this capacity, he was inspired to write 23 original gospel songs.